See The Swatches Of Anne's Bridal Lippie Collection Here! 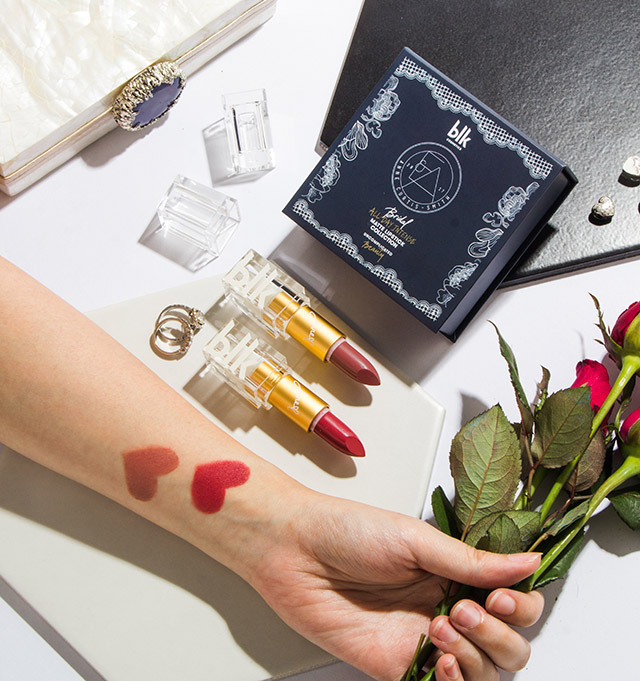 Of course, BLK Cosmetics' co-founder and Creative Director Anne Curtis HAD to make a special bridal lippie collection just in time for her wedding! Each lipstick costs P349. and you can buy them both as a boxed set for P598. These are exclusively available at Watsons and The SM Store Beauty Section outlets, via www.blkcosmetics.com.ph, and www.zalora.com.ph.